We’re not interested in picking favorite months. So we won’t. Besides August. | Conventures, Inc.
Summer is not ending. Summer is not ending. Summer is not ending. Here’s what we got up to over the last month. Just announced – Plymouth 400! Our President Dusty Rhodes is honored to serve as the Chair of the Plymouth Massachusetts 400th Commission. 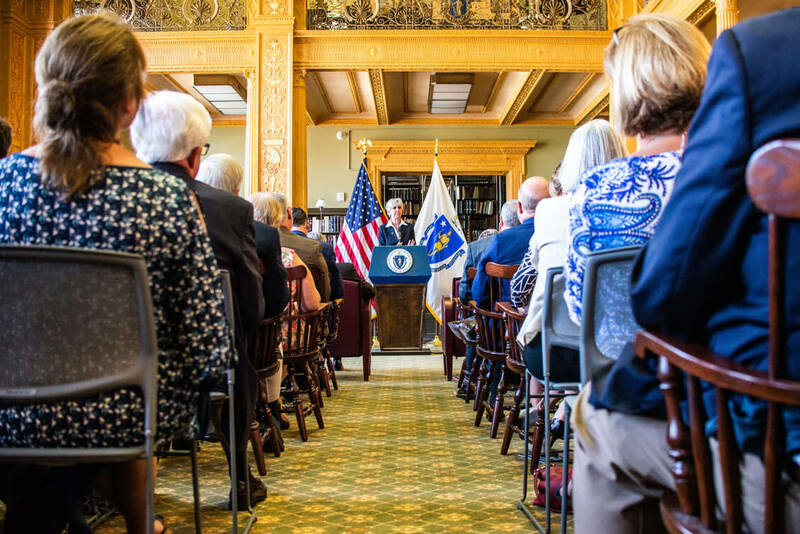 In 2020, a myriad of constituencies, led by the Commonwealth of Massachusetts will commemorate the 1620 arrival of European settlers on Massachusetts shores in Provincetown, and then Plymouth, Massachusetts. 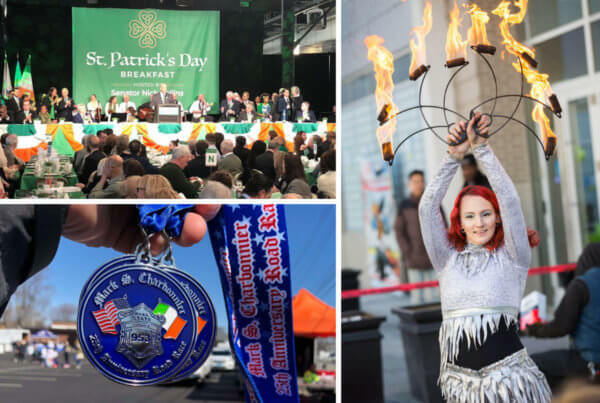 Plymouth 400 will be comprised of a year-long series of commemorations that highlight the cultural contributions and American traditions that began with the interaction of the Wampanoag and English peoples, a story that shaped the building of America. 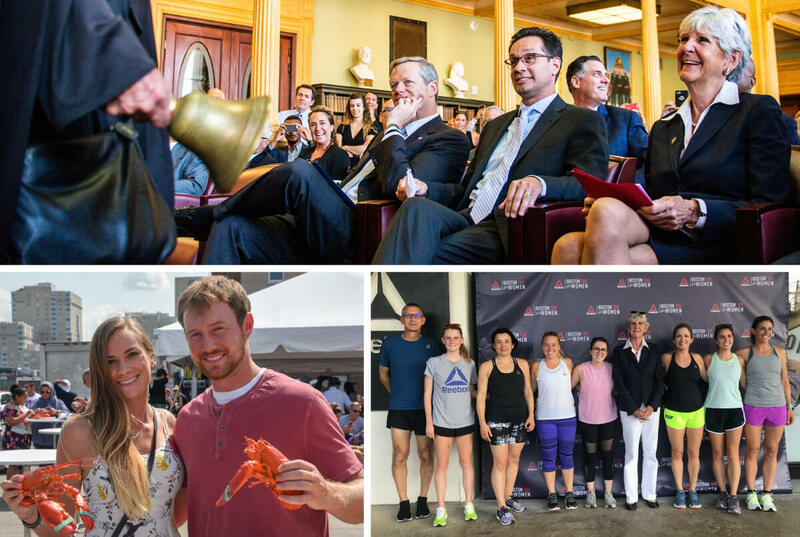 This week, Dusty led the announcement press conference with Massachusetts Governor Charlie Baker, Senator Vinny deMacedo of Plymouth and Barnstable District, Representative Sarah Peake of the 4th Barnstable District, Jim Peters, the Executive Director of Massachusetts Bureau on Indian Affairs, Michele Pecoraro, the Executive Director of Plymouth 400, and Therese Murray, Former Massachusetts Senate President. 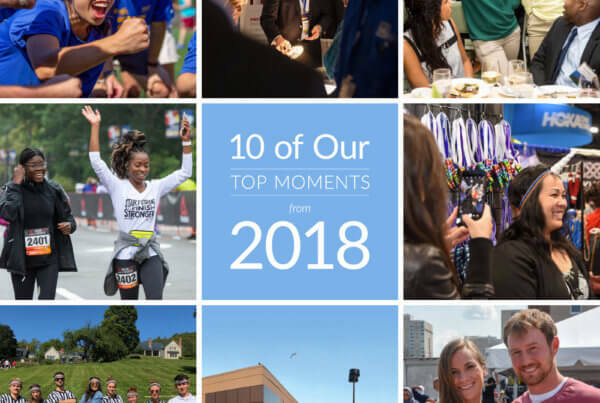 To learn more about all of the excitement 2020 will bring to bear, click here. We kicked off the month of August with the Boston Seafood Festival at Boston’s historic Fish Pier. 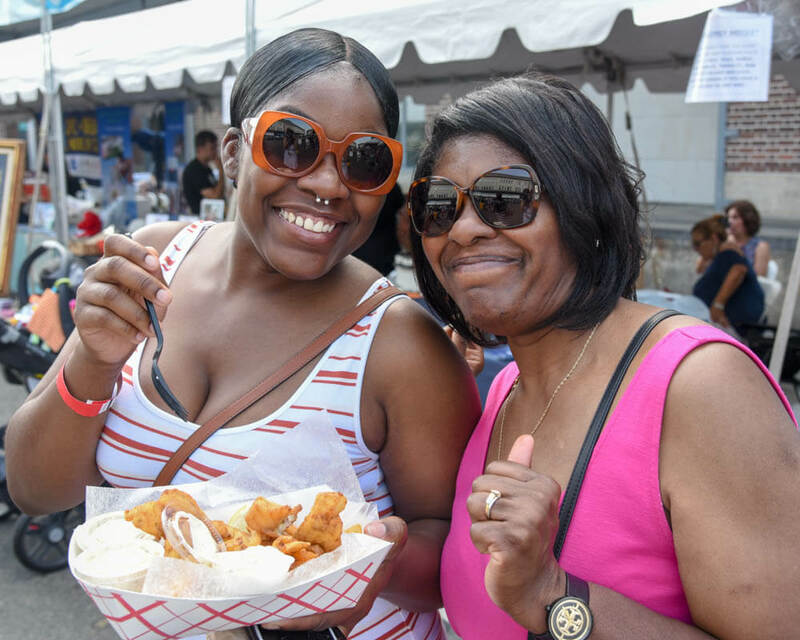 With help from a slate of Boston seafood restaurants and Harpoon Brewery, more than 5,000 guests beat the heat at the daylong celebration. We picked up new tips and tricks for the kitchen by attending chef demonstrations, sampled seafood from tons of local vendors like Shaking Crab, Big Rock Oyster Company, and Shuck Food Truck, and relaxed by the water with plenty of live entertainment. 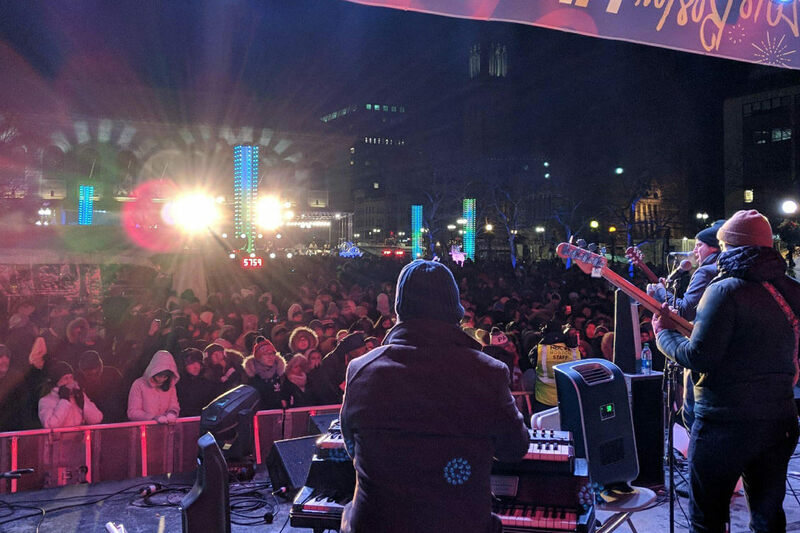 The Festival benefitted the Boston Fisheries Foundation, an organization that’s committed to preserving, sustaining, and sharing the region’s seafood and maritime heritage. To learn more about their good work, check them out here. To see photos from this year’s festival, click here. 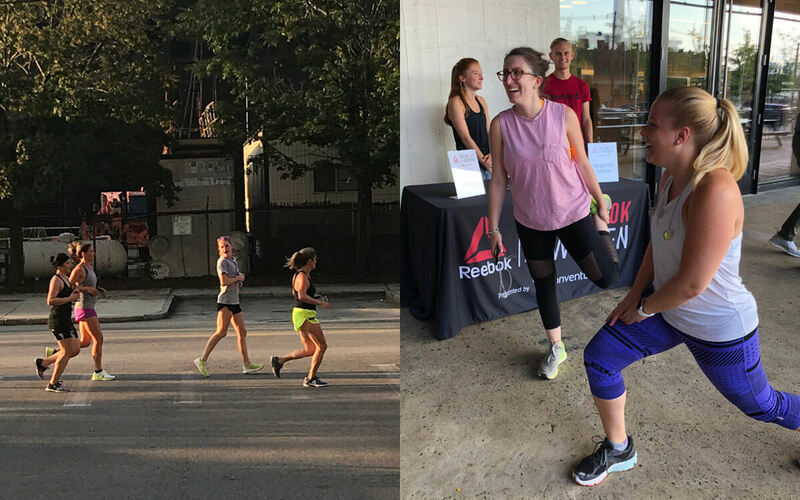 To help get our athletes geared up for the Reebok Boston 10K For Women, we’ve teamed up with Reebok to lead a slate of group training runs from their Seaport Headquarters. The 42nd running of this great American road race is on Monday, October 8, and registration is now open here. To join us on one of our free runs, RSVP here. 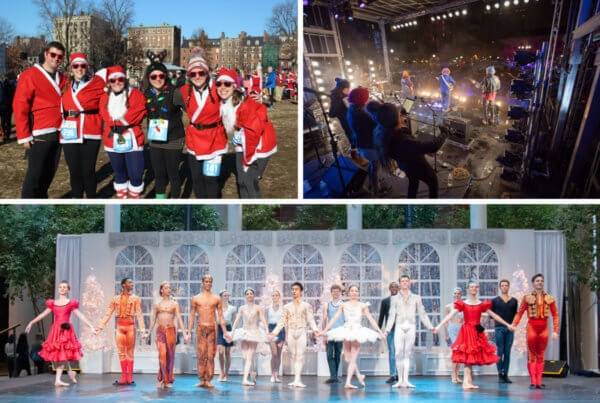 Crazy to think about it—we are in full planning mode for First Night Boston 2019. And while we have many exciting details to announce in the months ahead, you can always get involved early, and make a donation here.